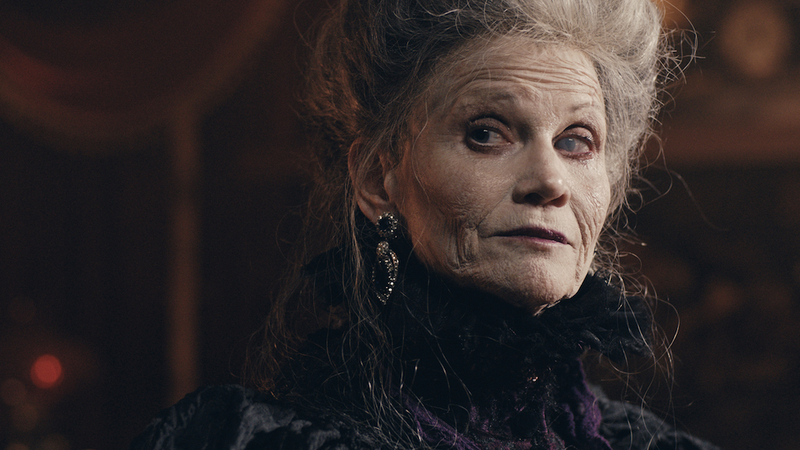 Earlier this year we brought you the review of KEEP THE GASLIGHT BURNING, a sinister Gothic short film by Oscar®-winning filmmaker Dave Elsey and Lou Elsey, that at the time was beginning to make the rounds at film festivals. We now have an update update on what's been happening with this delightfully wicked 18-minute film, which stars Markie Post (of TV's "Night Court" and "Chicago P.D. "), Kate Armstrong Ross and, in a pivotal role, legendary horror makeup designer Rick Baker. KEEP THE GASLIGHT BURNING has been named the Best Horror/Thriller Short at the Burbank International Film Festival, was one of two finalists at the DragonCon Film Festival, and has been accepted to screen in competition at the prestigious Sitges International Fantastic Film Festival in Spain this October. The film – produced by Don Bies and Anna Bies – has also been nominated by the Women in Horror Film Festival for Best Horror Short, Best Writing, Best FX and Best Production Design, and will be screening in competition at the 10th annual Lady Filmmakers Festival in Beverly Hills. It's also been screened in competition at the LA Shorts festival (where it debuted in July) and at the Berlin Short Film Festival. The film as mentioned is still on the festival circuit but we can share with you this clip from the short film.